Preview: SeedCode Calendar in Web Direct. Editing a record in Web Direct. 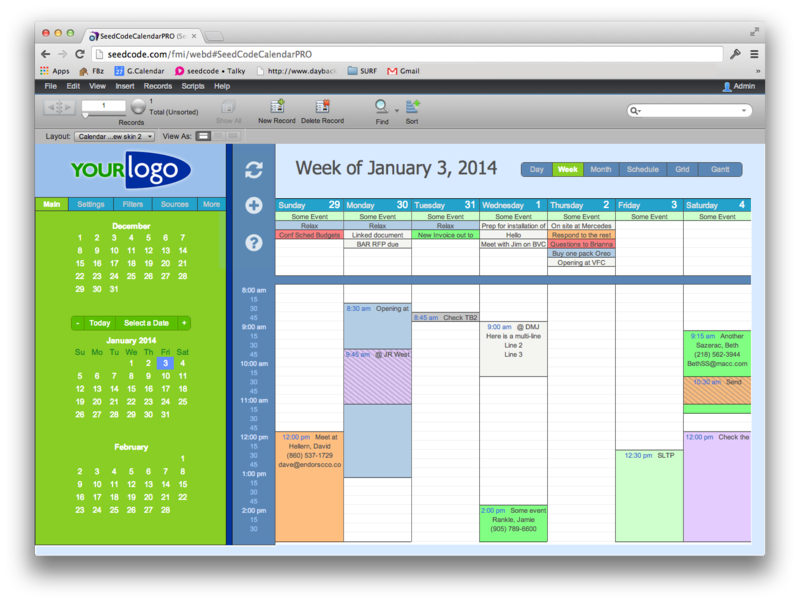 An alternate theme for the Pro Calendar in Web Direct. Learn more about FileMaker’s Web Direct. Good news: the Web Direct add-on should be available as layouts and scripts you can paste into your existing copy of the Pro Calendar. This will be a paid upgrade, but existing users will be able to get it at a discount. While we can’t say exactly when this will be ready, look for it in the next month or two. 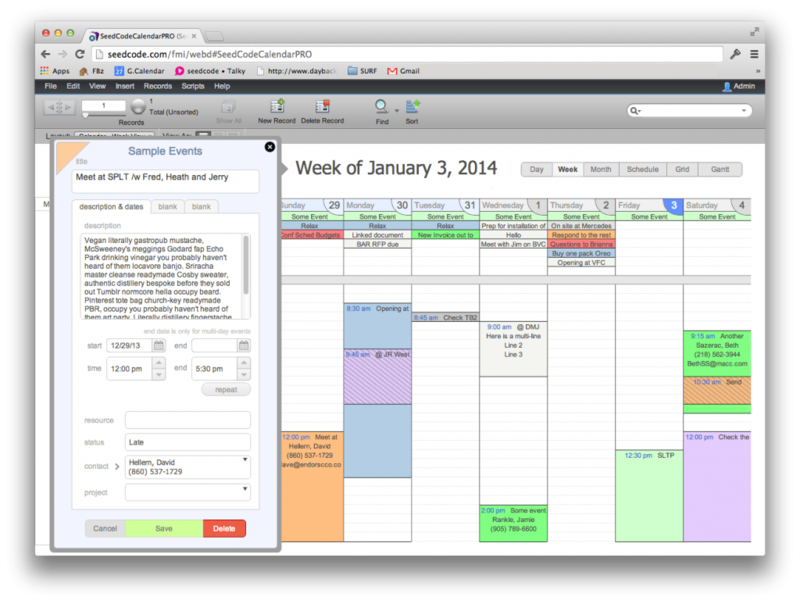 Buy the Pro Calendar, integrate it with your existing files and use it in FileMaker Pro. You’ll be ready when the Web Direct add-on ships. 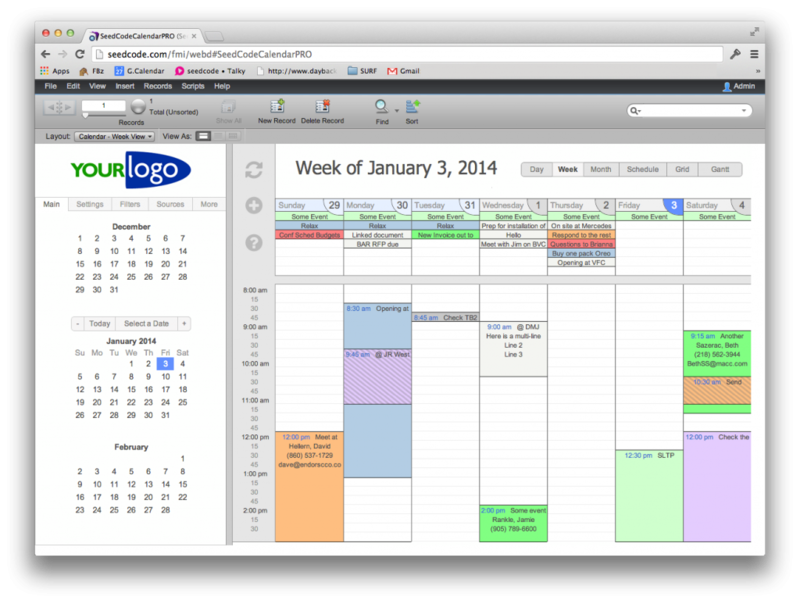 Learn more and download a demo of the Pro Calendar here. The post Preview: SeedCode Calendar in Web Direct. appeared first on SeedCode.